Oooh boy, time for one of those sickly sweet old-timer recipes again! So. When you eat this, seriously guys, only have a little piece. I will not be held responsible for any deaths or sicknesses or diabetes development. Whoohoooooo. Preheat your oven to 350F. Mix the two ingredients together and press them into a tart or pie pan. Bake for about 5-7 minutes until set. Whip the cream and set aside. 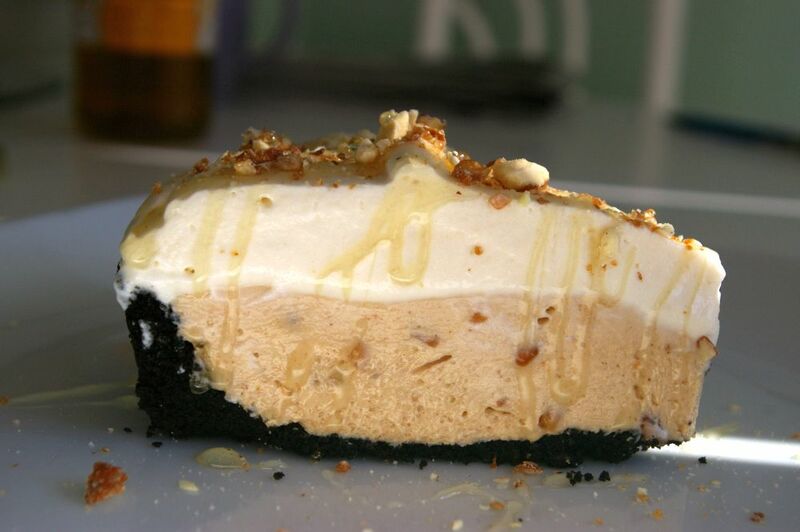 Whip together the peanut butter, cream cheese, icing sugar, and vanilla until smooth. Fold in the whipped cream. Throw it in your cooled shell, smooth it out, and let it set in the fridge for about an hour or so. Top with some more slightly sweetened whipped cream (about 1 cup with 2 tablespoon of icing sugar) and fluff that on top. Drizzle with some honey, sprinkle with chopped peanuts if you’d like. Chopped candied peanuts maybe? Delicious. 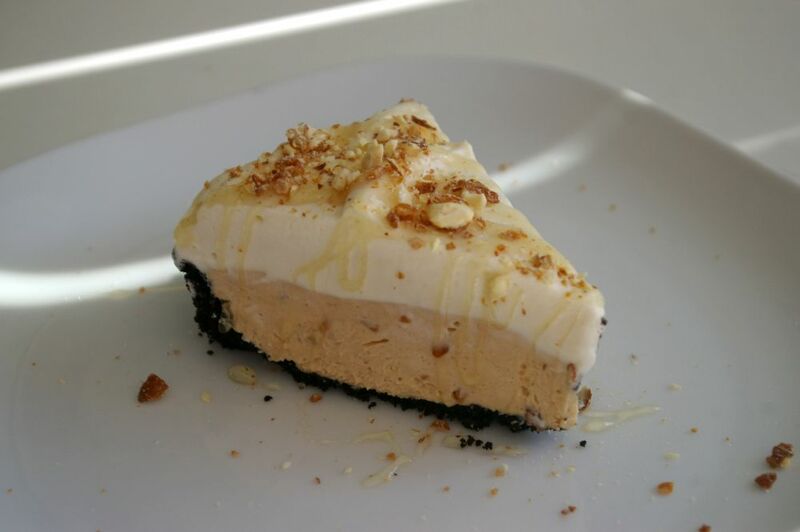 This entry was posted in Pie and tagged peanut butter, peanut butter pie, pie. Bookmark the permalink. Has anyone tried chocolate graham crackers instead of using the oreos? 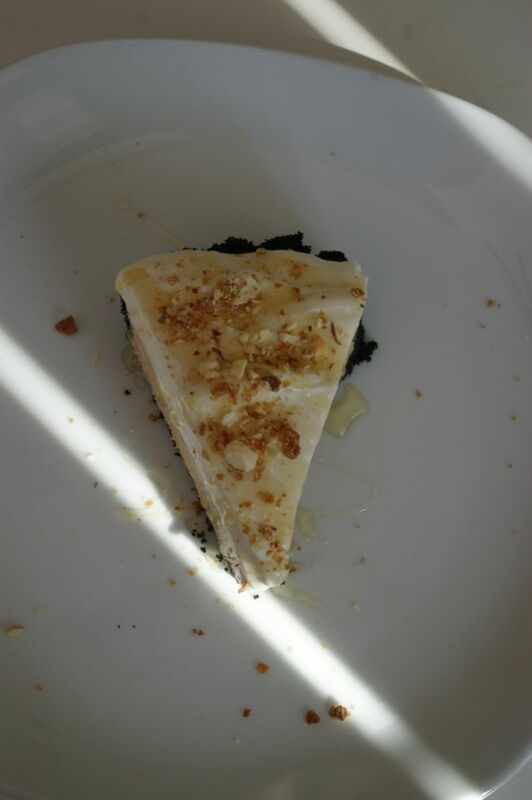 This pie looks incredible; thanks for sharing. The picture and directions look fairly easy to follow! I’ll give it a shot for my next dinner party since my husband loves peanut butter! You can certainly use any kind of cookie you want for the base! I made it with some coconut cookies once and it was fantastic!